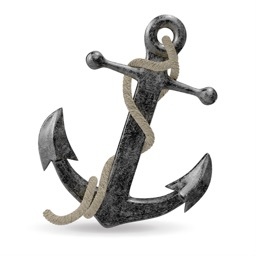 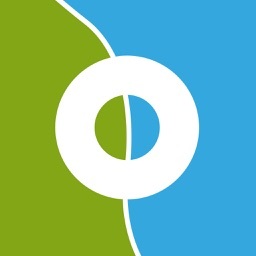 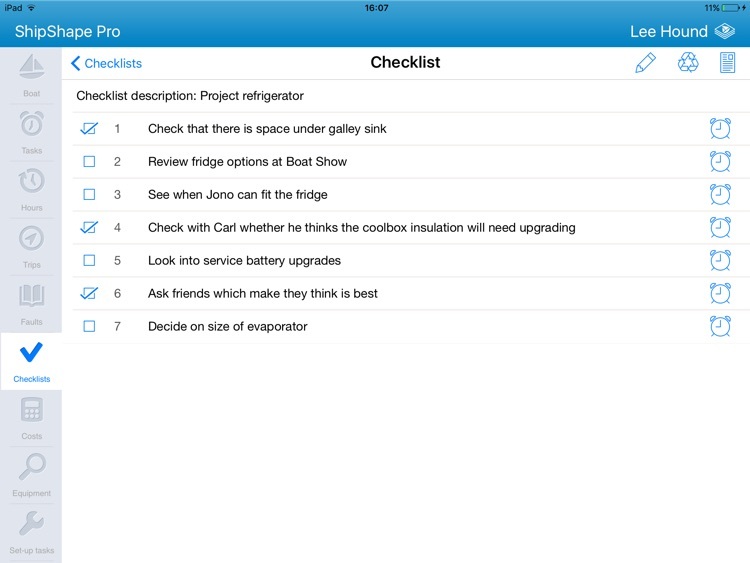 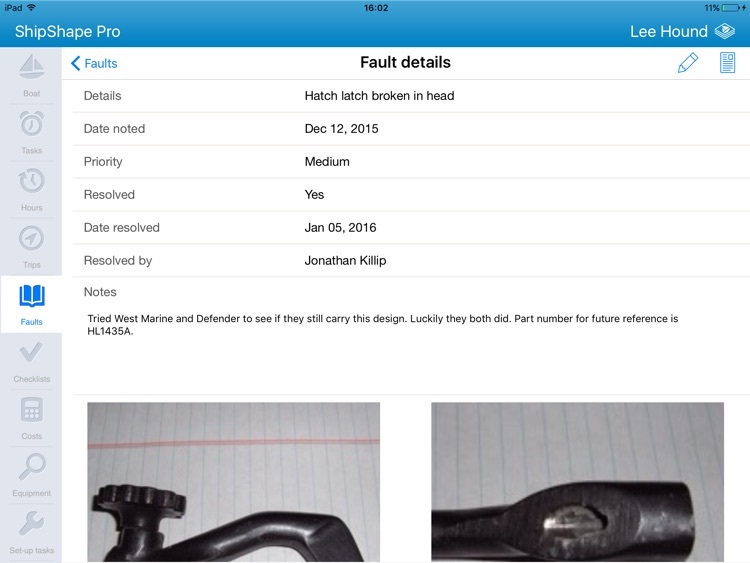 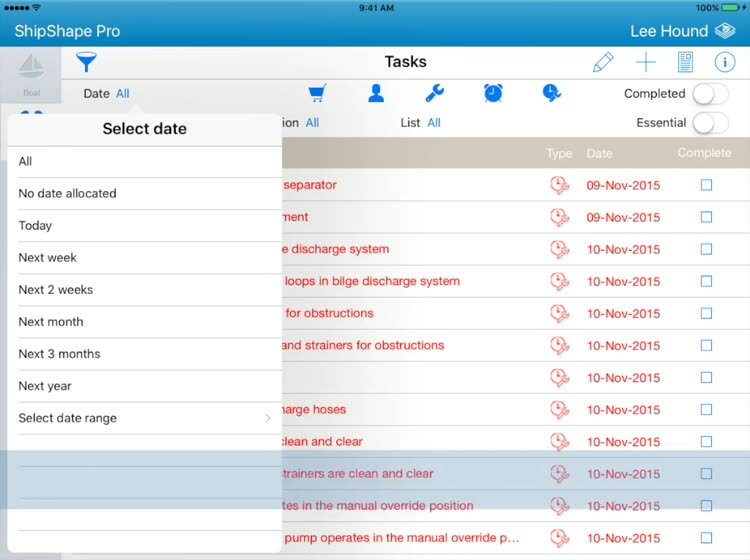 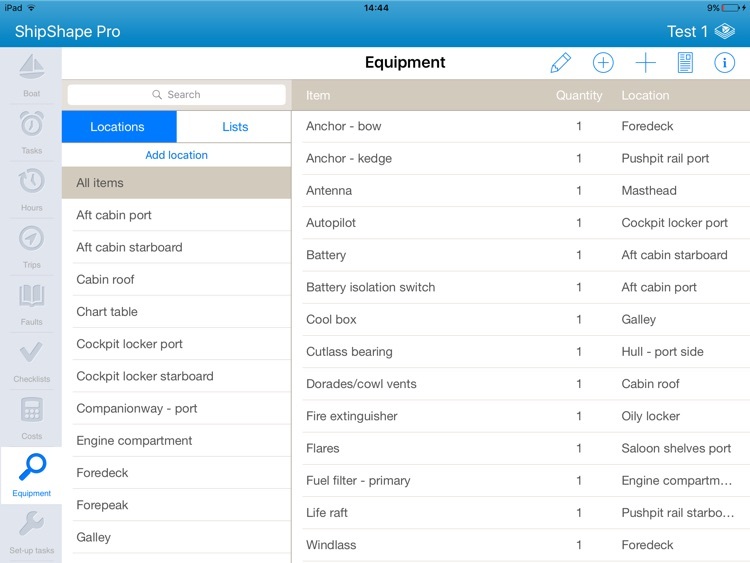 ShipShape Pro for iPad is our premium boat maintenance App. 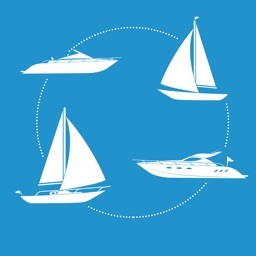 We designed ShipShape Pro for use by individuals maintaining their own boat and by boat maintenance professionals, charter companies or boatyards looking after many boats. 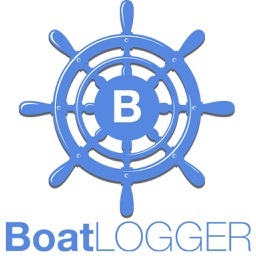 It works for any type or size of boat. 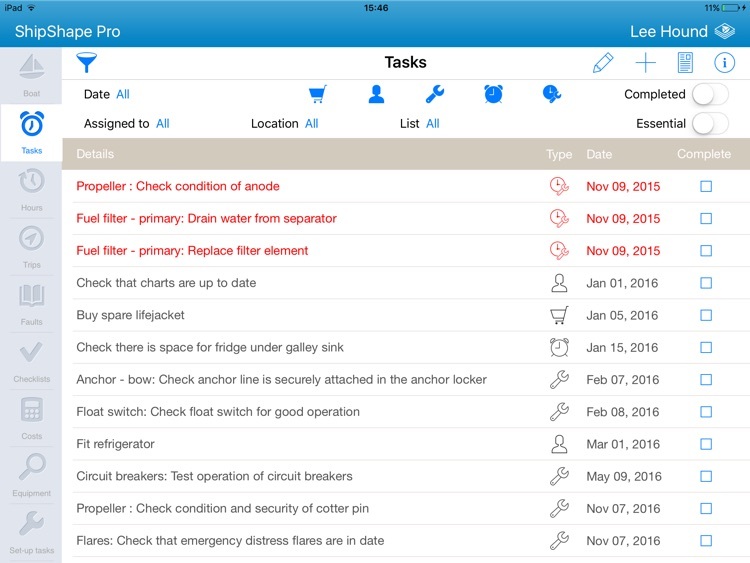 ShipShape Pro includes the features of our popular boating app for iPad - ShipShape - but adds a comprehensive suite of Maintenance features. 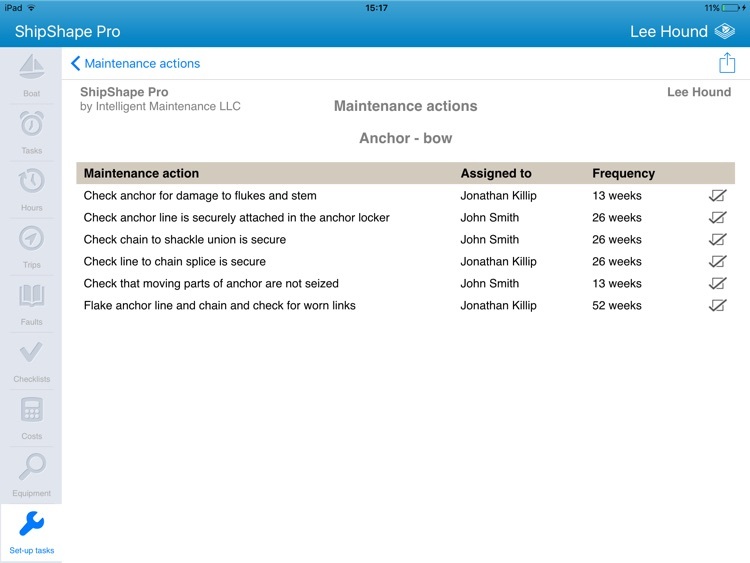 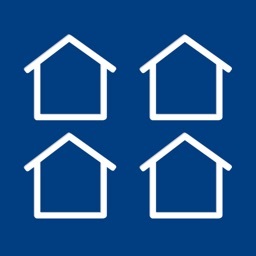 Existing ShipShape users can transfer their data automatically into ShipShape Pro. 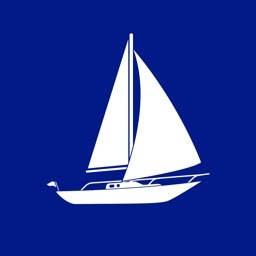 The App ships with one boat. 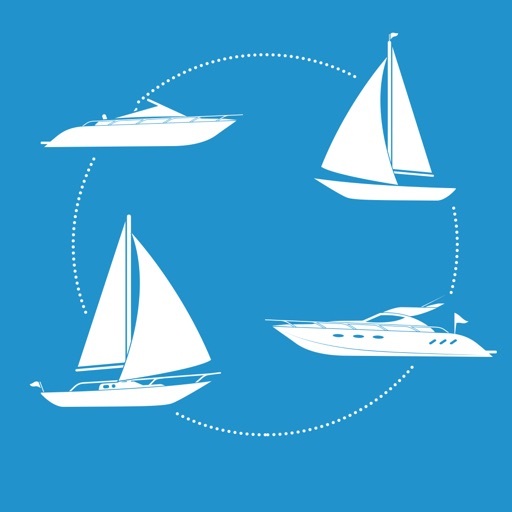 Additional boat records can be purchased in-App for as many boats as you wish in packs of 1, 5 or 10 at $29.99, $129.99 and $239.99 respectively.